Composition: orujo from Mencía, Albariño and Treixadura grapes variety. Preparation: steam distillation in copper still (traditional method). 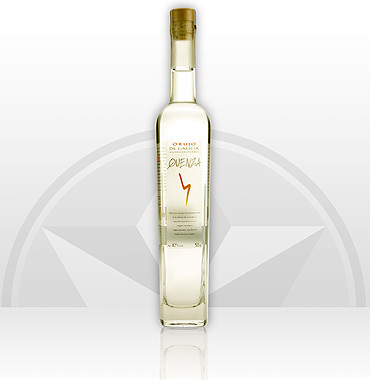 Only the "heart", the best fraction of the distilling, is used. Tasting: transparent. Impeccable. Clean aroma. Fragrant and subtle. Mouth feel is fine, delicate and rich in hues. Round. Composition: Orujo, naturally roasted Maragogype coffee and cane sugar. Preparation: the freshly roasted Maragogype coffee grains are macerated in the orujo, which is stirred daily; sugar is added and finally filtration is carried out. Tasting: pretty toasted colour with mahogany trim. Real coffee aroma with the clean background of a good quality orujo. The mouth feel is greedy and recurrent.. Composition: orujo, herbs (lemon verbena, mint, liquorice, cinnamon, orange, orange blossom, chamomile, cilantro, tea...) and cane sugar. Preparation: maceration of the herbs in the orujo, stirring daily. Draining, adding of sugar and final filtering. Tasting: pretty yellow colour. Bright. 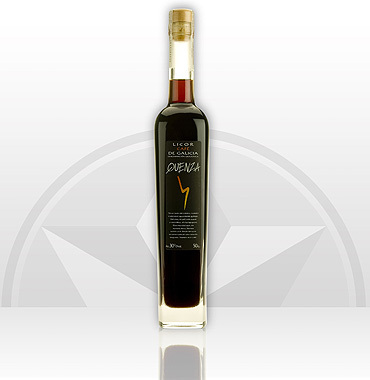 Intense aroma, with citrus, balsamic and spicy notes. Mouth feel is greedy. Brings to mind memories of the countryside and scrubland. An explosion of flavours that floods the palate. Composition: orujo, cinnamon, cream and cane sugar. Preparation: slow maceration of cinnamon in orujo for several days. Filtering to eliminate the cinnamon sticks. Addition of the exact amount of sugar in the macerated orujo, which is slowly mixed with the cream. Tasting: uniform and clean. Light ochre. 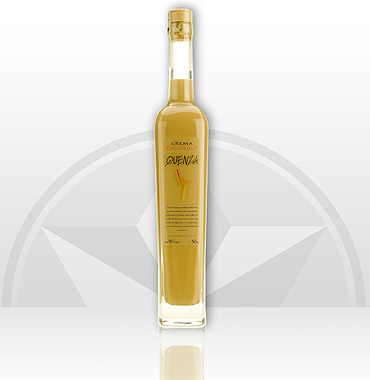 Sweet fusion of the intense aroma of the cinnamon and the fine cream whichculminates with the delicate touch of orujo. 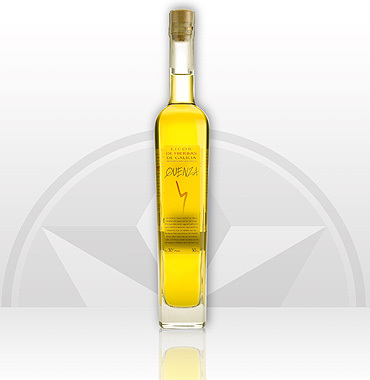 Soft and creamy palate, highlighting the persistent aftertaste of nature. 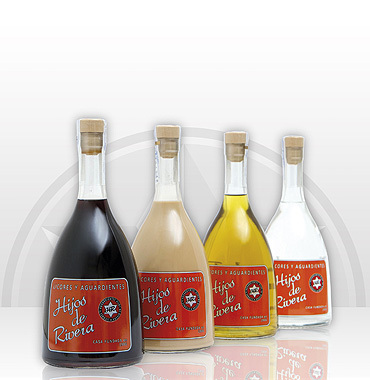 The Hijos de Rivera spirits have the flavor that summarizes the best of Galicia. They are made by hand according to ancient tradition and distilled in the only way possible: drop by drop.